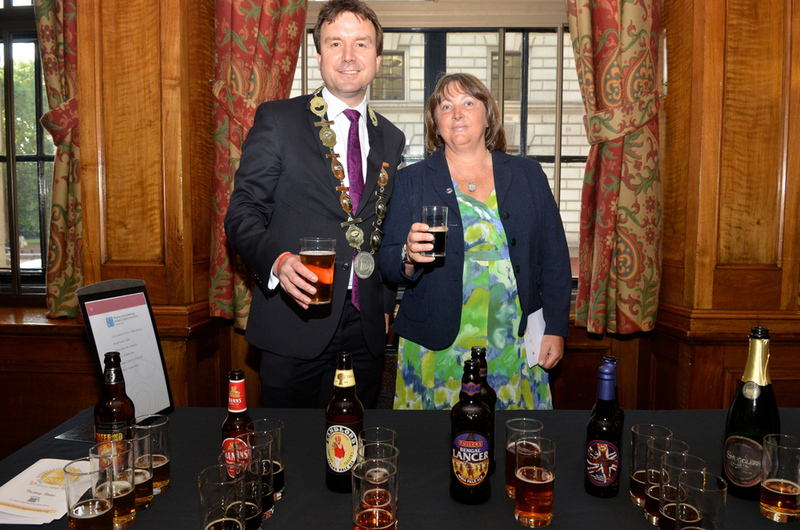 Winning beers from this year’s International Brewing Awards were enjoyed by a number of MPs and other guests at the All-Party Parliamentary Group’s annual dinner earlier this month. Six beers from the UK which were awarded medals in February were showcased at the dinner. Ranging from a 2.8% ABV mild to an 11.5% ABV Belgian strong ale, the featured winners highlighted the diversity of beers that enter and succeed in the Awards. “The historic cut in beer duty announced in this year’s Budget demonstrated the importance of reaching out to Parliamentarians with positive messages about beer, so we were delighted to have a presence at the Beer Group’s dinner. The winning beers offered to guests at the dinner were: Lord Lieutenant’s Porter (Chiltern Brewery); Bengal Lancer (Fullers); Manns Brown Ale (Marston’s); Inferno (Oakham Ales); Smugglers Grand Cru (St Austell Brewery) and Landlord (Timothy Taylor). The International Brewing Awards 2013 were judged in February in Burton-upon-Trent, where 96 medals were awarded to beers and ciders from more than 45 countries. Ten overall Championship winners were announced in April. The Awards return to Burton in February 2015, with entries opening on 1st August next year.